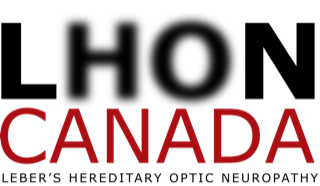 When LHON Canada was established in late 2017, best practice standards were identified for the Organization. They included the need to implement not only program support regimes, but also support the financial challenges of new innovative treatment programs. Among the initial recommendations of the Organization’s Board, was the need to create program support opportunities and develop a well-defined strategy for dealing with the problems posed by affected LHON individuals. In keeping with this goal, a working Partnership Committee between LHON Canada and the Ottawa Hospital Eye Institute was established to bring together the best medical expertise and knowledge of inherited mitochondrial disorders.